There’s no need to get take out when you can make this delicious Pressure Cooker Orange Chicken in the pressure cooker or Instant Pot! And there’s an option for making Orange Chicken in the slow cooker too if you prefer that method. Click here to see Instant Pot Chicken and Rice Recipes for Easy Family Dinners! There’s no doubt that Orange Chicken is one of the most-common and most-loved Chinese American restaurant dishes, so why not make this beloved recipe at home in your pressure cooker? And my friend Barbara from Pressure Cooker today tells me this Pressure Cooker Orange Chicken is one of the most popular recipes on her site and her family loves it, so you know it’s good! 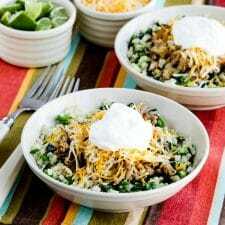 For Friday Favorites we feature recipes that we hope you’ll try and love, and this recipe is definitely something we think will become one of your favorites! You can make this tasty Orange Chicken in any Electric Pressure Cooker or in the Instant Pot. Or look below for a link to a version of Slow Cooker Orange Chicken if you prefer that method! Barbara served this with zucchini noodles, which is a fun idea, but you could also use rice or cauliflower rice. And this recipe would work well for another idea for Kid-Friendly Instant Pot Recipes too; I bet most kids would love this! Get the complete recipe for Pressure Cooker Orange Chicken from Pressure Cooking Today. 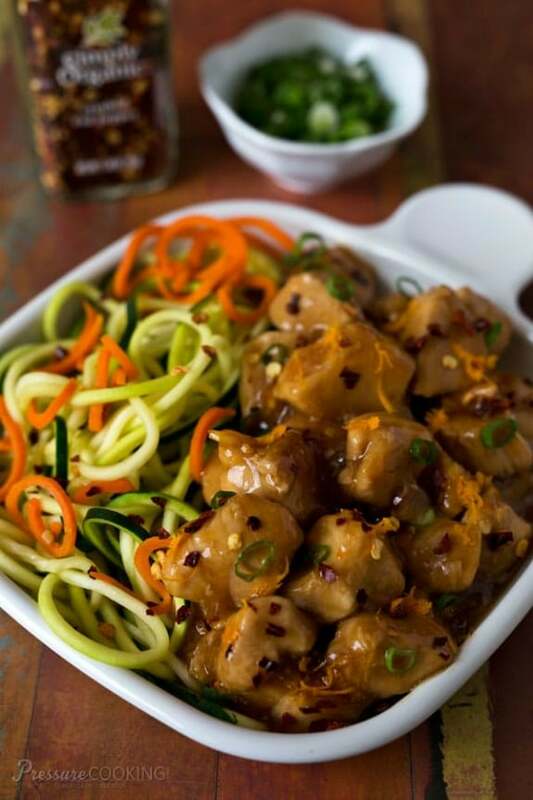 Try Slow Cooker Crispy Orange Chicken from Slow Cooker Gourmet if you prefer using the slow cooker. Check out The BEST Instant Pot or Slow Cooker Teriyaki Chicken Recipes!